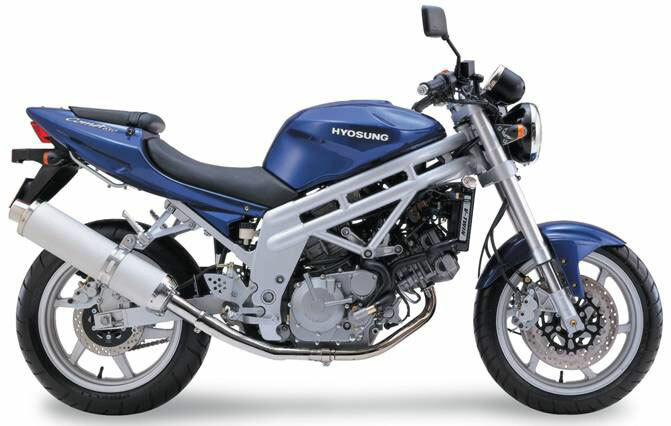 Hyosung's twin-cylinder, water-cooled GT650 combines traditional naked sports bike styling with a can-do attitude. Large size radiator - Kept the stability by maximizing cooling effect in high speed and improved performance and durability of engine greatly. Semi-truss Semi-backbone frames (hardness backbone frame) - Selected the frame of high-strength elliptic pipe and plate, secured hardness and revealed low-frequency avoiding resonance area with engine. Circular instrument - Secured excellent visual recognition in day and night, and made long distance running tranquil by high-capacity (17 l) fuel tank installation. Rear seat and storage space - Secured separate storage space under rear seat and luggage loading is easy to fix with lower mounting hook. Front fork/double disk - Motility and elasticity were satisfied by employing upside-down method, and dynamic and safe running can be presented by securing hardness. 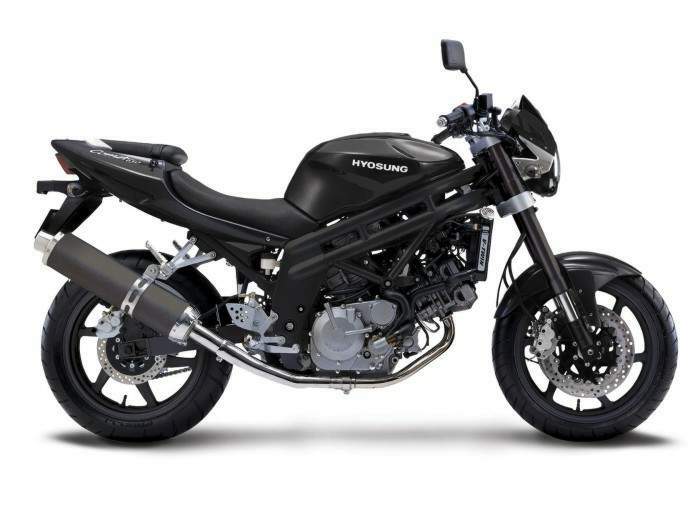 Large size muffler - Aluminum exhaust pipe controls noise, and presents agreeable running by exerting generating power that is strong by 2-In-1 exhaust system employment.